For their role in the selection process the following students will receive $180 and were honored for serving as Community Service Award Judges: Mills Botham from West High School; Olive Earley from East High School; Aaron Grode from Edgewood High School; Shivani Kumar from Memorial High School; & Erin O’Connell from La Follette High School. Six sophomores received $200 Wilson Sophomore Academic Improvement Awards for outstanding improvement in academic progress while in high school: Tyra Ampe from Shabazz City High School; Philip Fochios from Edgewood High School; Chelis Lewis from East High School; Khariyhana Martin from Memorial High School; Rosa Nunez from La Follette High School; & Ray Walker from West High School. Junior Academic Improvement Awards were awarded $300 to the following students: Joshua Bell from East High School; Jaishawn Boyd from Shabazz City High School; Elizabeth Conybear from Edgewood High School; Kelsey Gomez from Memorial High School; Anjahre Scott from La Follette High School; & Andrea Silva-Ramirez from West High School. Six students received $500 awards for Senior Academic Improvement while in high school: Mateo Bohorquez from Memorial High School; Rayonna Hatcher from East High School; Jariah James from West High School; Tony Rehm from Edgewood High School; Amanda Yang from La Follette High School; & Sandy Yang from Shabazz City High School. The $600 Senior Academic Achievement Awards for top scholarship went to: Katherine Casey from La Follette High School; Thomas Luo from West High School; Ariana McMiller from East High School; William O’Brien from Edgewood High School; & Changning Shou from Memorial High School. Receiving $1,400 awards for their participation in Community Service Projects were: Kaylee Alt from West High School; Robin Bazan from West High School; Chelsea Clark Edmiston from West High School; Joanna Martinez from Memorial High School; Grace Peterson from West High School; & Alexandra Tiger from East High School. Ayden Prehara from West High School received the $500 Fay J. Meade Community Service Award for use in furthering his education. 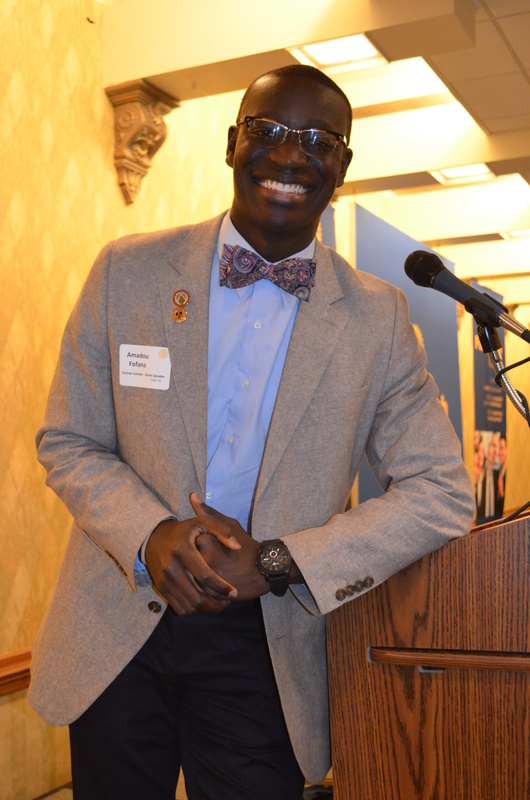 Four students were selected to attend the Rotary Youth Leadership Awards Conference, and their $200 participation cost were provided by our Madison Rotary Foundation: Veronica Bwembya from Edgewood High School; Seth Goldstein from East High School; James Neusen from Memorial High School; & Erika Sandoval from La Follette High School. Five students received $1,300 Outstanding Senior Awards for academic achievement, leadership and community service: Charles Jetty from East High School; John Rottier from La Follette High School; Kevin Varghese Thomas from Edgewood High School; Nathan Wang from Memorial High School; & Ethan White from West High School. Our thanks to Youth Awards Committee Chair Scott Strong and the following program presenters: Moses Altsech, Joyce Bromley, Sandy Gehler, Donna Hurd, Elaine Mischler, Leigh Richardson and Nancy Young. We also thank John Bonsett-Veal for serving as photographer. 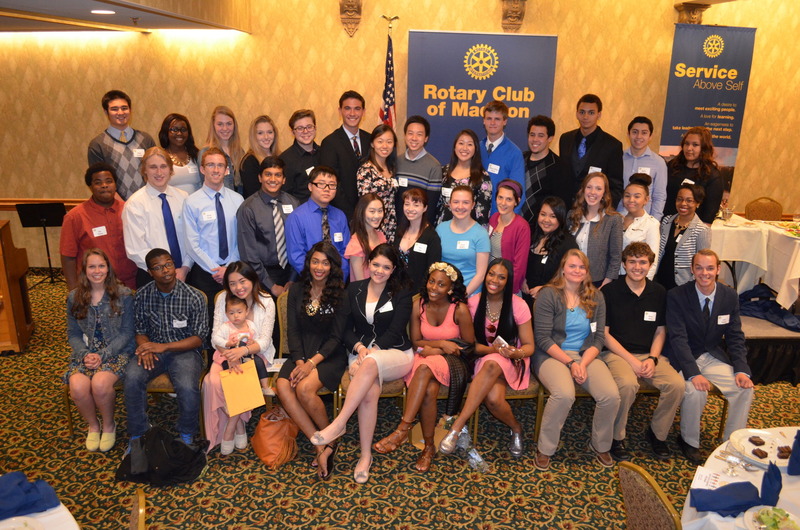 For 46 years, the Rotary Club of Madison, in recognition of Rotary’s motto “Service Above Self,” has annually recognized area students who have shown great leadership and commitment to their school community as well as the community at large. 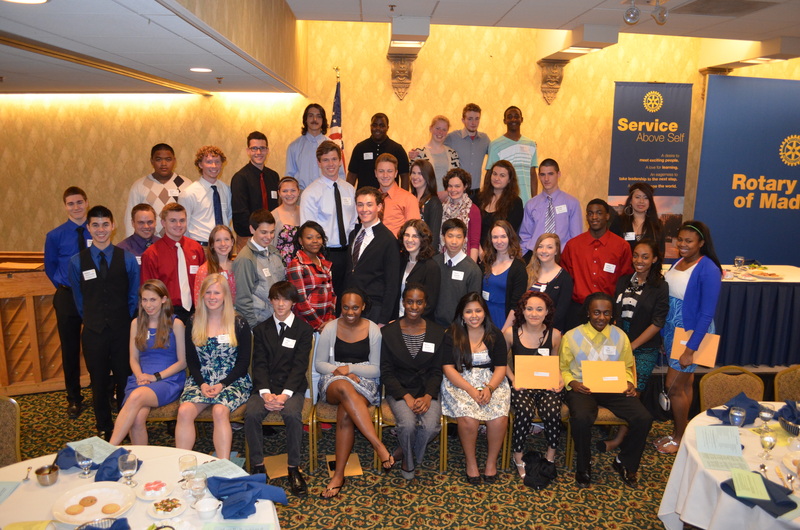 We will meet 45 outstanding students during our May 13 annual Rotary Youth Awards Luncheon at the Inn on the Park. 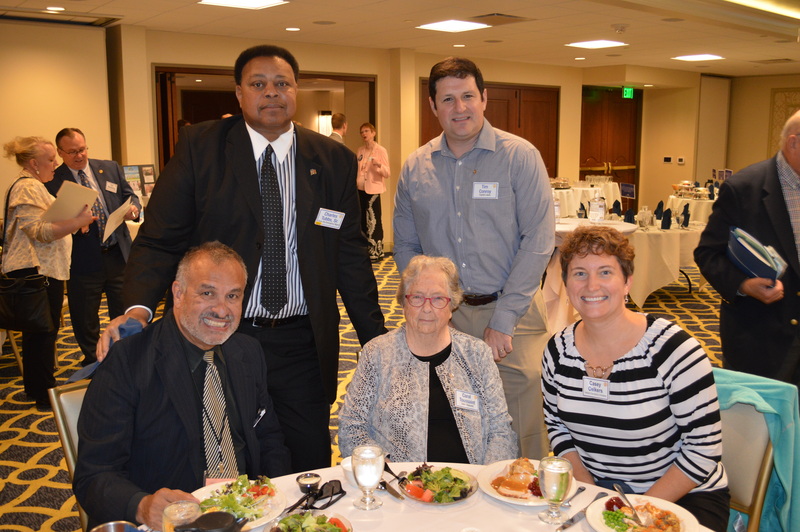 And, as we get ready to recognize this year’s group of awardees, we want to take a moment to look back at the success of one of our past recipients. 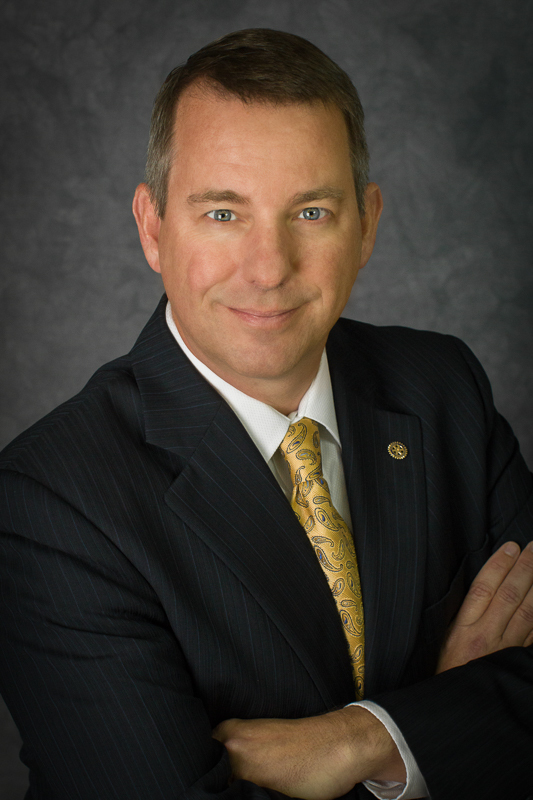 Practice can help pave a road to significant professional pursuits. Lauren Rock took that opportunity to heart beginning with her freshman year in high school when she volunteered nearly 500 hours – 150 of those hours at the United Way of Dane County in 2006 planning Youth Service Day activities. 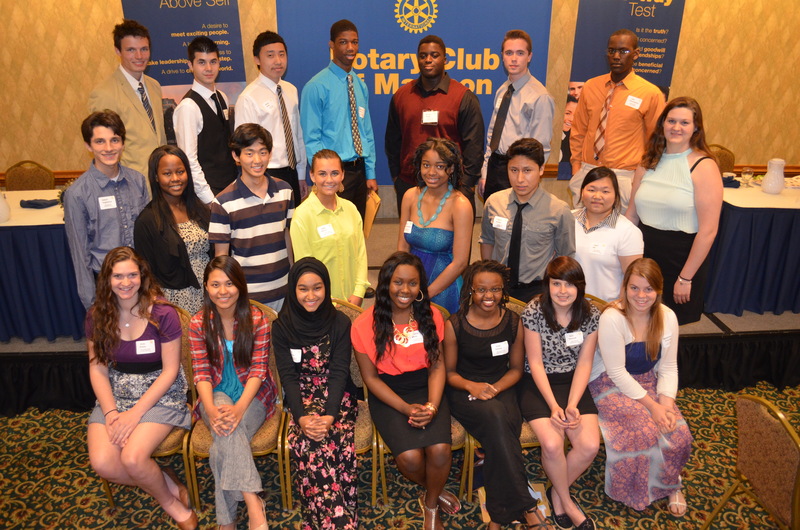 Three years later, Lauren was among 34 students honored by the Rotary Club of Madison at the 2009 Youth Awards Program. By then – her senior year at Madison’s Memorial High School – she had logged more than 1,000 volunteer hours and received a Rotary Community Service Award along with $1,250. Today, Lauren holds a bachelor’s degree in education from Illinois Wesleyan University and is the assistant director of Leadership Giving at the United Way of Dane County! 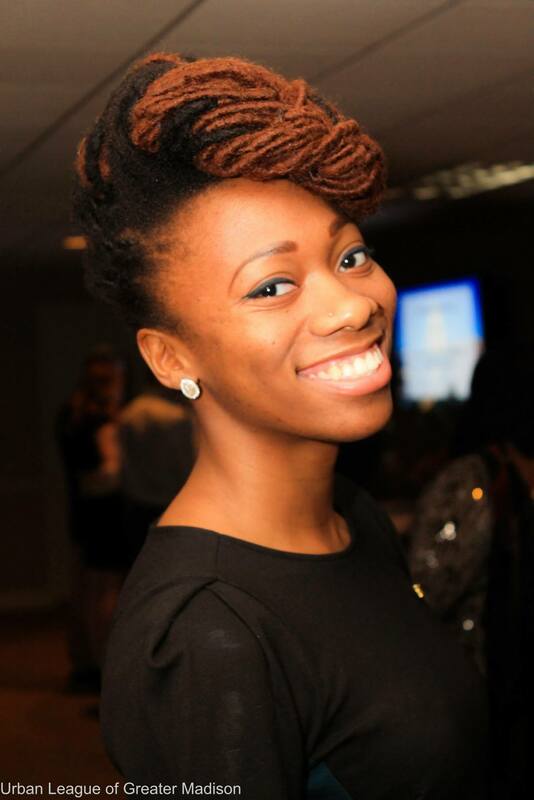 Lauren serves on the YWCA of Madison Women’s Leadership Initiative Committee, the Urban League of Greater Madison Young Professionals and the Foundation for Black Women’s Wellness. Lauren is a believer in service learning and volunteerism for career exploration. “It offers young people opportunities to realize why it’s good to give to their community,” she says. We thank Lauren for continuing to provide service for the betterment of our community. She is an inspiration to all of us, and we know that recipients of this year’s Youth Awards Program will also do many great things in future years.